Set amongst 9000 square-metres of beautifully landscaped vegetation, an extensive lagoon pool and tropical island form the resort's centrepiece. Serviced by a world-class restaurant, with the tranquillity and rejuvenation of the Anjea Day Spa close to hand, Lagoons 1770 Resort & Spa is stylish by design, comfortable and welcoming by nature. Guests and visitors can come to Lagoons 1770 Resort & Spa to relax and play in comfort in the casual village-like ambience of Seventeen Seventy. Lagoons adjuncts the Sir Joseph Banks Conservation Park and a pristine, secluded surf beach is just a short stroll away. 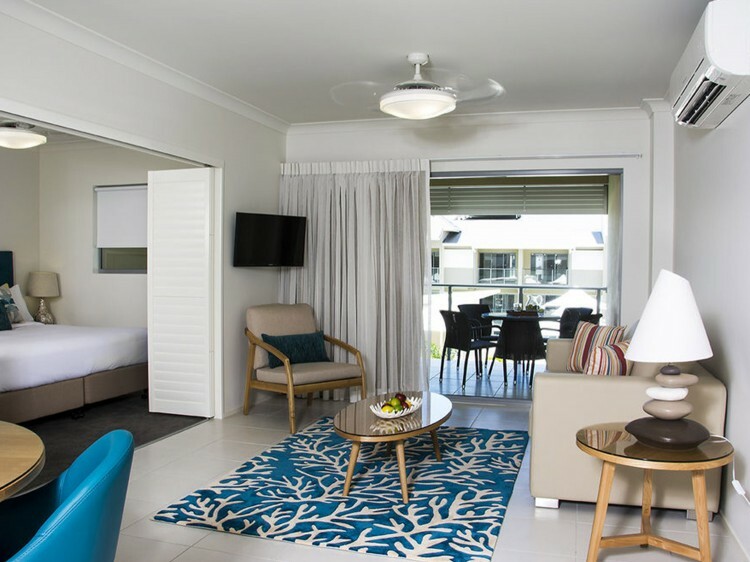 It is the perfect base from which to explore the natural wonders of the Southern Great Barrier Reef and lush hinterland, and celebrate life with friends and family. Lagoons 1770 Resort & Spa is the only holiday accommodation in the township with a day spa and full service, self-contained apartments where guests can stay, eat and play in the naturally luxurious surrounds. Elegantly designed for comfort in the tropics, Lagoons features 112 beautifully modern one and two bedroom suites and executive studios with a choice of balconies, spa baths, patios, outdoor dining spaces and private courtyards, offering views over the beautiful lagoon-style swimming pool or coastal hinterland surrounds. Plantation Bar & Restaurant - serving innovative modern Australian cuisine, Plantation Bar & Restaurant sources the freshest seasonal produce locally. Depending on season and guest numbers wake up to a delicious a la carte or buffet breakfast offering a selection of hot dishes, fresh fruits, cereals, pastries, juice, toast, coffee and tea. Plantation is open for breakfast, lunch and dinner, seven days per week, and is ideal for all occasions; an intimate dinner for two, a few cocktails and small plates with friends, to a long lunch with family and friends. Anjea Day Spa - escape to a tranquil place where wellness is nurtured and your inner self is harmonised. Anjea Day Spa is a place where caring is personalized and life is celebrated. From the moment you enter our sanctuary you will feel a wave of calm wash over you and leave you to emerge refreshed, balanced and energized. Enjoy a range of facial and body treatments as well as massage, manicures and pedicures. Perfect for that weekend getaway or week long adventure. Fully self-contained featuring a comfortable king bed, a range of fabulous amenities, fully equipped kitchenette and laundry, balcony or courtyard with spa bath. Perfect for that weekend getaway or week long adventure. Fully self-contained featuring a comfortable king bed, a range of fabulous amenities, fully equipped kitchenette and laundry plus patio with direct access to the lagoon pool. Fully self-contained featuring one comfortable king size bed and fold out sofa bed. A range of fabulous amenities, fully equipped kitchenette and laundry, inside and outside dining area plus a spacious lounge room and a balcony or courtyard with spa bath. Fully self-contained featuring one comfortable king size bed and fold out sofa bed. 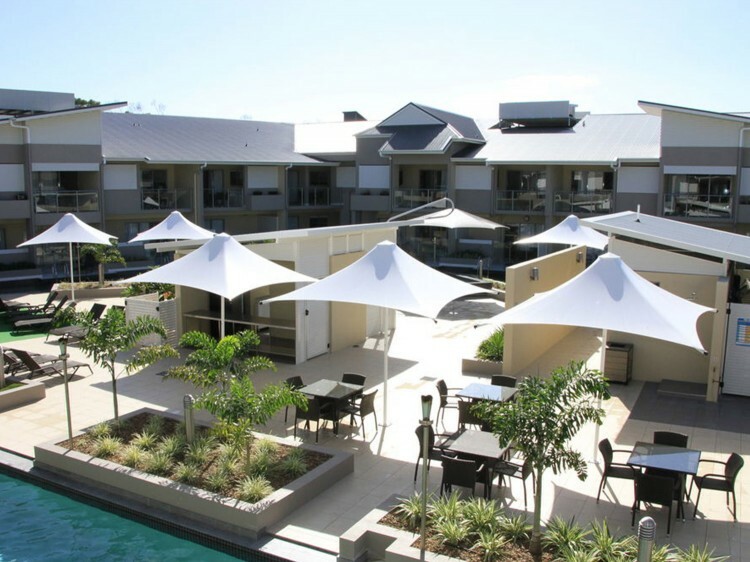 A range of fabulous amenities, fully equipped kitchenette and laundry, inside and outside dining area plus a spacious lounge room and a patio with direct access to the lagoon pool. Dual key consisting of an Executive Studio and a 1 Bedroom Suite. 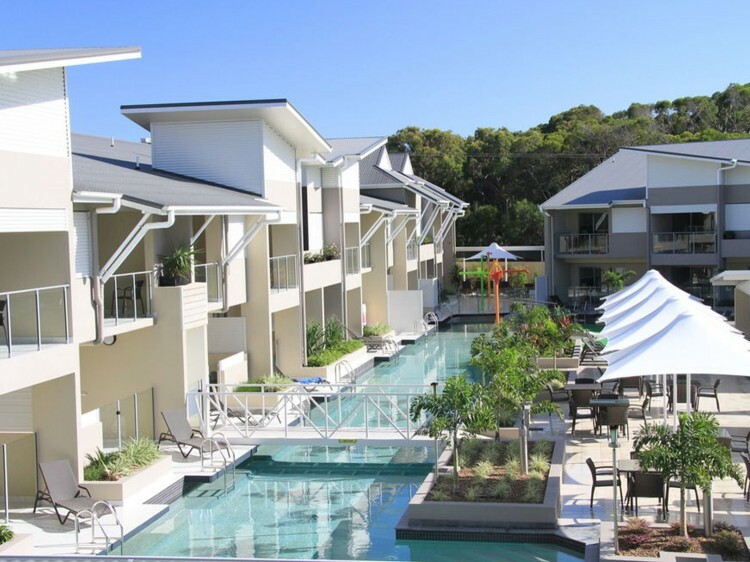 Beaches on Lammermoor on the fabulous Capricorn Coast, just minutes to the heart of Yeppoon offers the absolute pinnacle in luxury resort style apartment accommodation.